When using herbs in salad dressings, allow the flavors to mellow ten minutes before serving. Work the flavors of herbs into meat, poultry, and fish by rubbing the herbs with your hands before cooking. The warmth of your hands will release the herbal oils. Bouquets of fresh herbs can be placed in jars or glasses filled with an inch or two of water. Cover loosely with plastic wrap and refrigerate. Use within a week. Add a bay leaf to the water when cooking beans, lentils, rice or other grains. Add a pinch of ground cinnamon to tomato sauce. Cinnamon brings out the sweetness and removes the bitter taste of canned tomato sauce and paste. 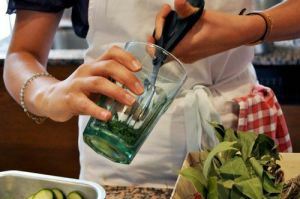 To chop fresh herbs quickly, place them in a glass measuring cup, insert scissors or kitchen shears and snip away. This is a great recipe that is always popular when you have guests over. 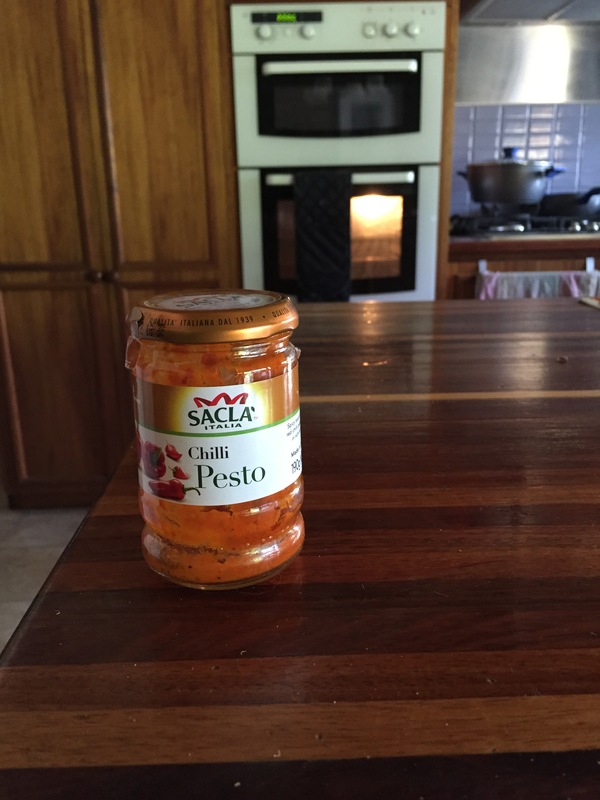 I always use “chilli pesto” because we are chilli fiends. You can use regular pesto but I found it a bit bland. You can add anything to give it some Ooomph if you don’t like chilli. Lay two slices of prosciutto on each and sprinkle grated parmesan over them. 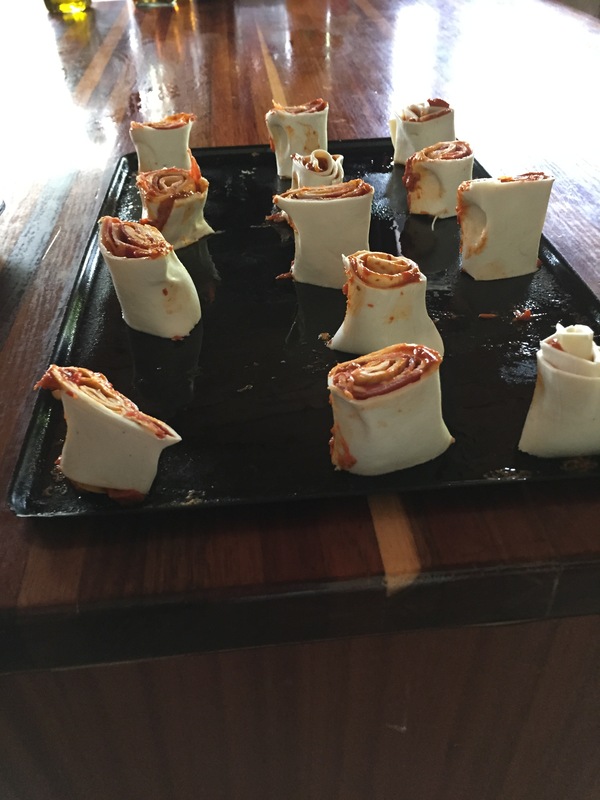 Roll up firmly, cut into 3cm thick slices and place cut side up onto a baking paper lined tray. Bake for 15-20 minutes, until golden and crisp. When cooled keep in an air tight container. 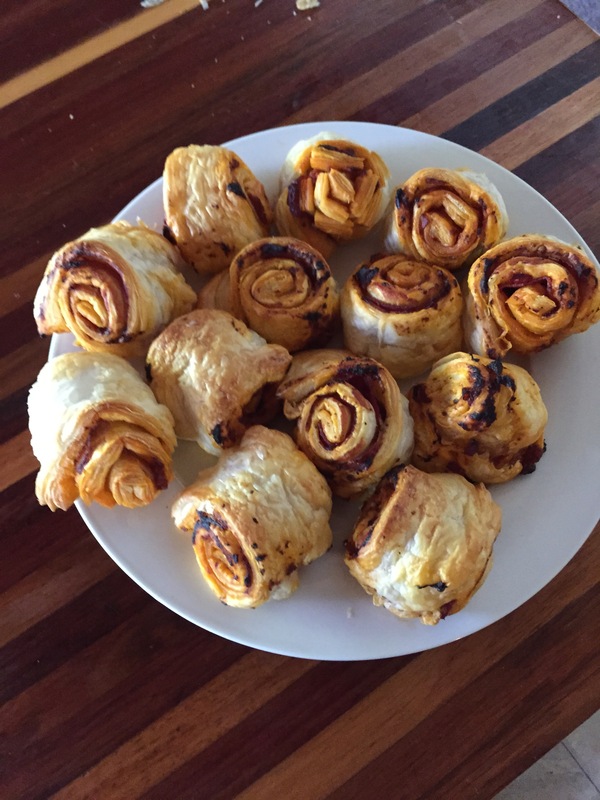 Although I make these when guests are coming and they are so popular they never quite make it to the container. Basil: Create an easy pesto sauce by combining: 1 cup fresh basil leaves, 3 tablespoons of walnuts, 3 tablespoons grated Parmesan cheese, 3 tablespoons olive oil, 2 cloves garlic. Puree in a food processor. If too thick, add a bit more oil. Store in a tightly covered container in the refrigerator for up to a week. Freeze for longer storage. Use pesto in pasta dishes, rice, vegetables or toss with cooked, cubed eggplant. Chop basil and add to ice cube trays, pour water over fresh chopped basil and freeze. Keep frozen cubes in a zip lock bag or air tight container. Fresh-frozen basil- always ready to spice up a dish. Basil is good for you as well. Loaded with anti-oxidants. Enjoy basil raw, or chopped and sprinkled on a homemade pizza before baking. 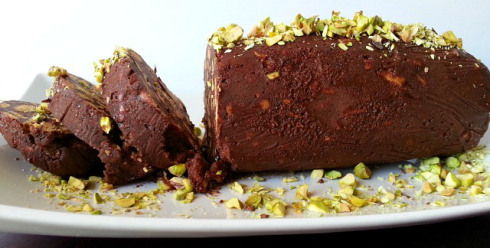 It’s obvious that Salame de Chocolate (Chocolate Salami) has a European origin for us Goan’s. It is made mostly for Christmas and Easter in Goa. But in our household it was made for Birthday Parties along with Marie Biscuit Cake(spin-off Italian Tiramisu) because it makes for a rich decadent dessert. The melt in your mouth Salami would always impress our friends as it’s not a very common dessert in Goa. So if you are a vegetarian who has heard about the real deal Italian salami than this one is for you my friend :-). Well, although it’s summer here in Australia, where I live in the mountains it seems that summer has gone and has by-passed autumn altogether. For the last few days it has been cold and raining and the mountain is covered in mist, which of course is lovely. To that end I thought we needed some thick hearty soup. This is one of my favourites, hope you try it out and enjoy. 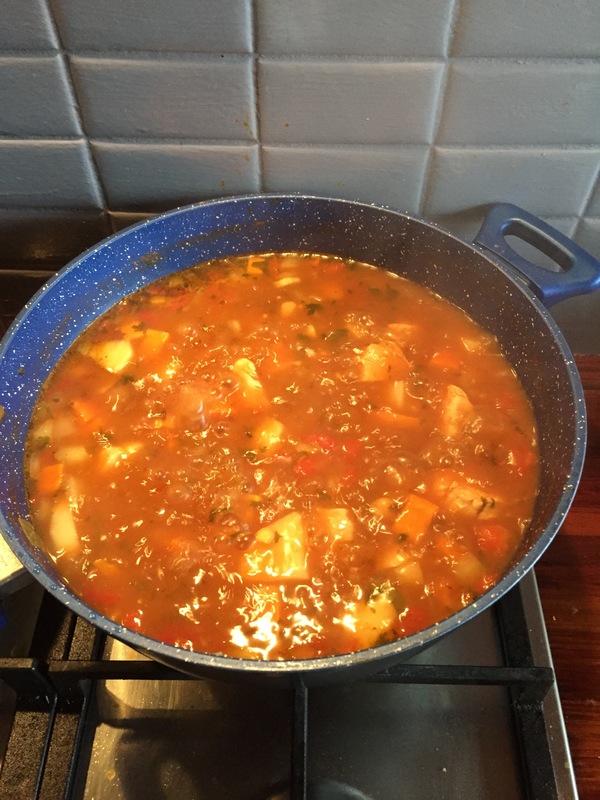 Heat a large stock pot and add chicken in half of the coconut oil. Cook stirring occasionally for about 2 or 3 minutes, or until browned. Remove chicken and set aside. Reduce the heat and add rest of the oil to stockpot. Stir in onion, garlic, celery and carrots. Cook stirring occasionally, until soft. Add cumin, coriander and cinnamon. Cook stirring until fragrant. 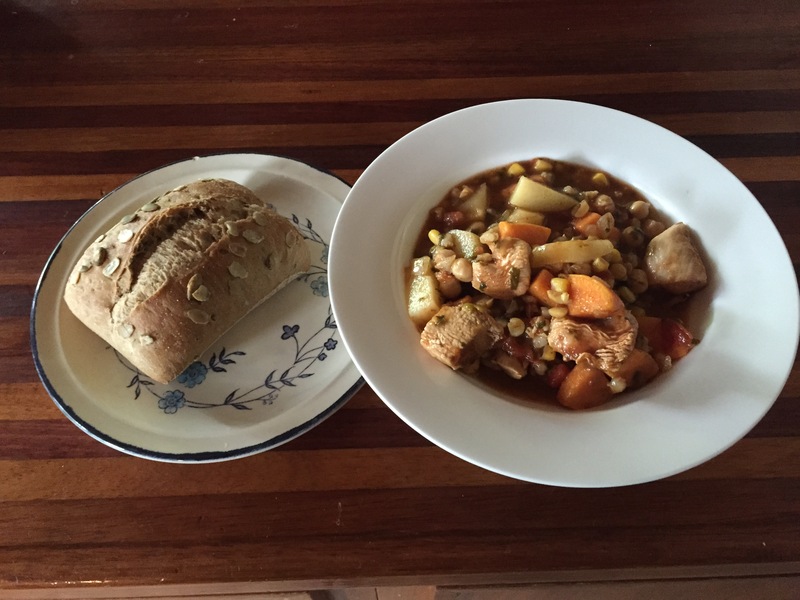 Return chicken to pot with tomatoes, chickpeas, barley and stock (you can add water if needed). Season with pepper. Bring to the boil. Simmer, covered, stirring occasionally for about 1 ½ hours, or until chicken is tender and breaks apart. True tea is made from the leaves and buds of the Camellia sinensis tea bush. Depending on how the tea is produced, it falls into one of these six classifications: green, white, yellow, oolong, and He Cha [ dark black ]. There are also dozens of teas within those classes, depending on where they’re grown. Not all tea beverages are made from tea. Herbal teas are brewed from the roots, bark, stems, flowers, seeds or fruit of any other plants, and would be classified as herbal infusions. Instant powdered teas and ready to drink bottled teas aren’t true teas either. 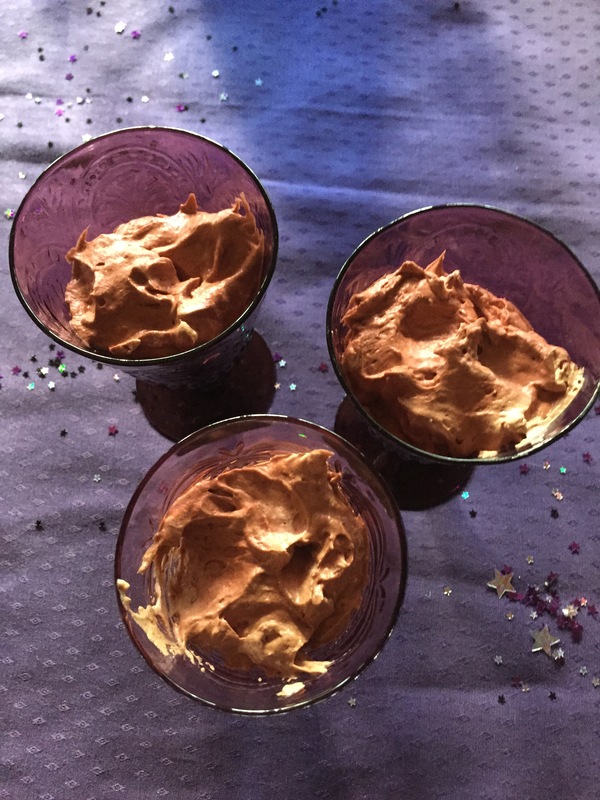 Today here in Oz (New Years Day) we have a friend coming for lunch and she loves her sweet dessert, therefore I have made this awesome Chilli Chocolate Mousse. 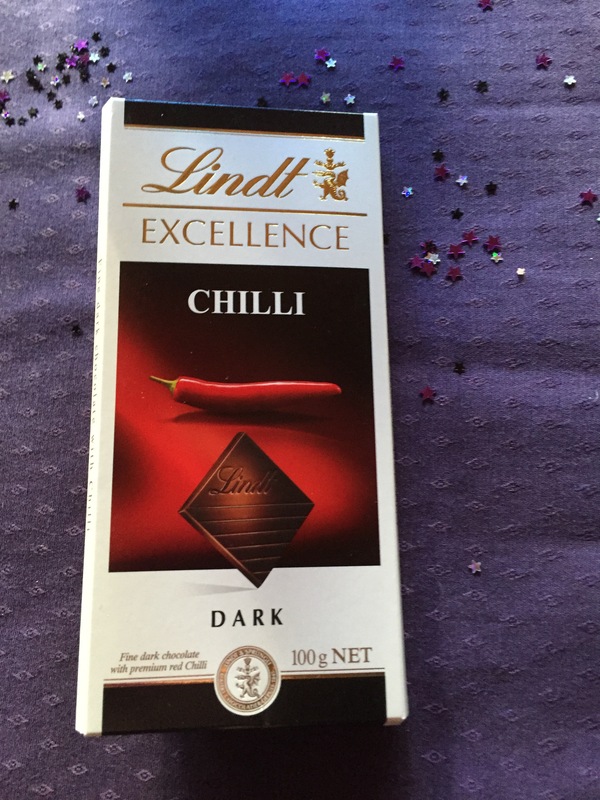 It is only a hint of chilli so don’t be put of by the name. The rest of the meal will be healthy, so I figure we can have an indulgence. Hope you all have a wonderful 2015. Beat egg whites in a bowl with electric mixer until soft peaks form. With the motor running add sugar, I tablespoon at a time. Beat until glossy. Stir egg yolks into melted chocolate. Fold in egg white mixture until just combined. Beat cream in a bowl of an electric mixer until soft peaks form. Fold into chocolate mixture.